WATCHTOG ROVER is a multi-function, portable security trailer combining the latest in security, surveillance and communications technologies. Temporary or long-term, the Rover can act as a stand alone security device or be integrated into a larger-scale design. It’s customizable to meet specific needs. The Rover’s fast setup makes it an easy-to-deploy and use product, operational in 15 minutes. This portable security trailer is ruggedly built and ideal for use in remote locations, construction or drilling sites. Controls and systems are managed remotely through desktop log in with 24/7 monitoring available. It’s self sustaining and capable of operation for weeks between refuelling with multiple charging and environmental power options. 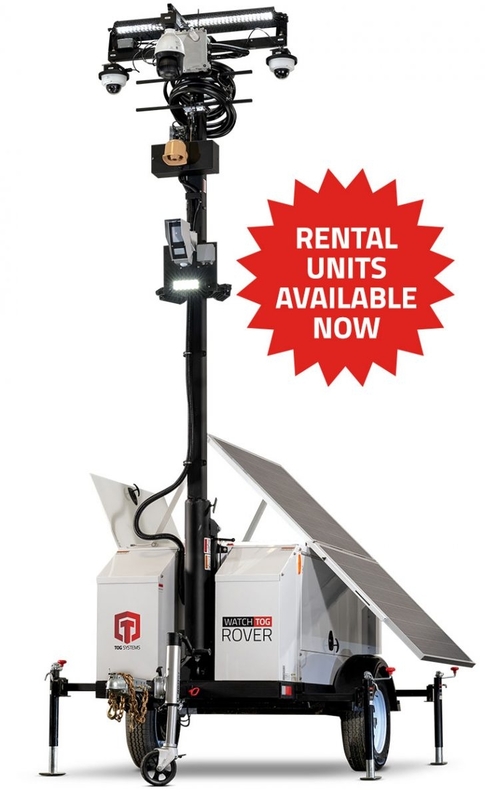 Alternately, the Rover’s ease of use and functionality, make it an excellent security solution for laydown yards, emergency management, pipeline and transportation fleet surveillance. TOG Systems integrates a variety of security and surveillance equipment into custom communications solutions. From security cameras to mobile trailers, we can source, modify or design a custom solution to suit all of your needs.